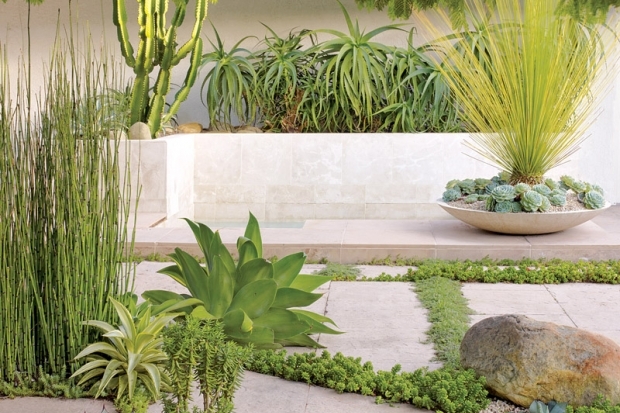 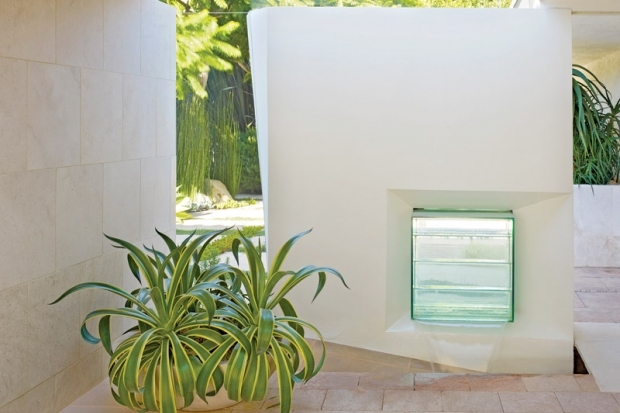 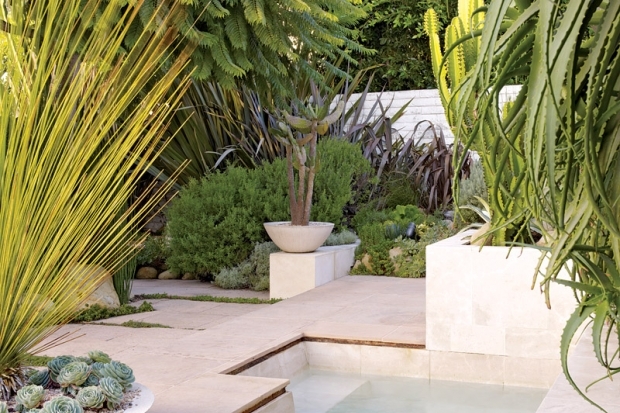 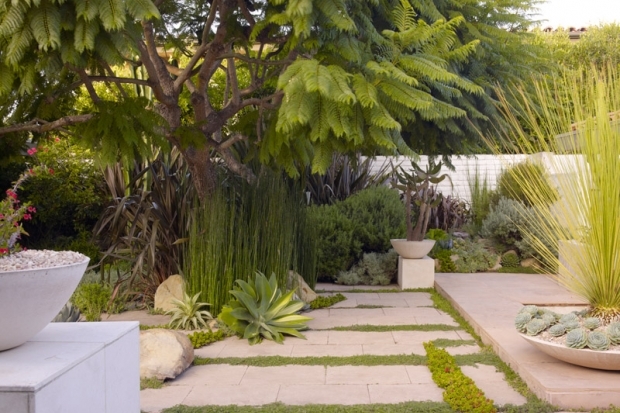 This beautiful modernist garden was designed by landscape designer James Lord from Surfacedesign. A deeper investigation, or, as James Lord says, "an ensuing sense of discovery", reveals unexpected pockets of greenery. 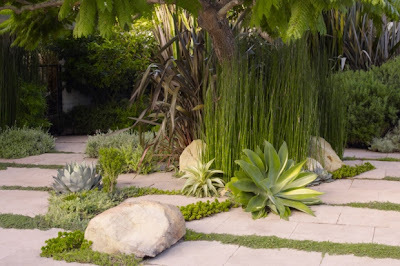 The scene is created anew each time James Lord's mother, a "roadside commando" of plant cuttings, brings home a new batch to propagate. So far, she's usurped aeonium and lavender from the South Coast Botanic Garden (where she's a volunteer) and adopted orphaned steel-blue agave pups from the neighbor's yard. 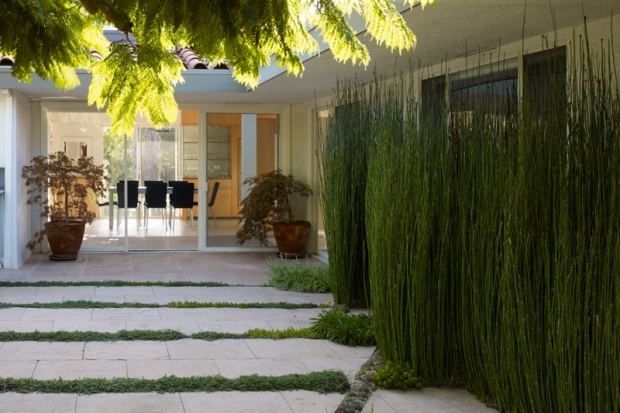 "The garden evolves to live," says James, "and lives to evolve."